WARSAW – Golf is a sport that begs perfection. Putting together the perfect day might be mandatory if any of the local golfers want a crack at the IHSAA Boys Golf State Finals. It took everything Warsaw had to win its sectional last week, escaping by one stroke over a very game Culver Academy quartet. While Warsaw and CMA certainly have the chops to take one of the three spots from this Thursday’s Warsaw Boys Golf Regional, there are some other big boys that will have the attention of everyone in the field. Penn’s 297 at Erskine and Fort Wayne Dwenger’s 300 at Chestnut Hills were both championship scores, and both will be among those shooting for a state ticket. With other gunners like DeKalb, Homestead, Fort Wayne Canterbury and NorthWood all having big weekends in their respective sectionals, it should be a shootout for state qualification. Warsaw does find itself in the enviable position of playing on its home course, one the players and Haddad – the former clubhouse course champion – know very well. Stonehenge Golf Club has seen some tremendous Tiger moments in recent vintage, and Warsaw hopes it can make a little history again on Pierceton Road. But Haddad also knows that a two-stroke loss to NorthWood at the NLC and a one-stroke win over CMA at Rozella in the sectional leave very little wiggle room. All four of Warsaw’s scoring golfers were in the 70s at the sectional, led by 2017 state finalist Sam Yeager’s 75 and Luke Delp’s 76. 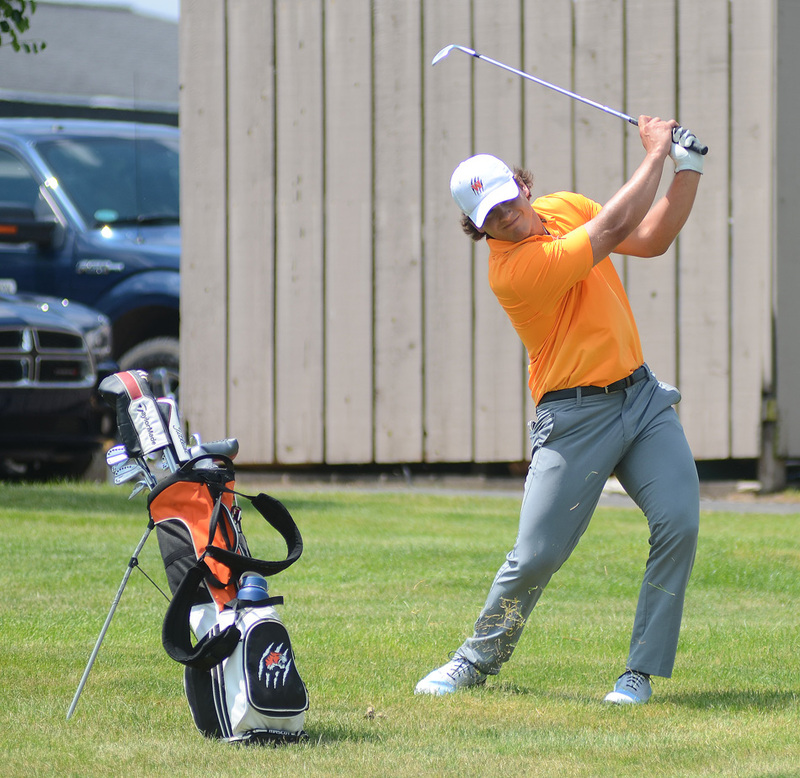 Jake LaLonde fired a 78 from the five hole and Chase Byron continued to play solid golf at 79. Tommy Meier was the fifth score at 83, but has all the ability to shoot with the rest in the 70s. CMA’s Michael Perea had the second-best score of the Warsaw Sectional at 74 and has been bordering par golf most of the season. NorthWood is a sneaky team heading into the second leg of the state series. The Panthers outgunned Warsaw at the NLC, and then fired its best 18-hole score of the year last Friday at Meadow Valley with its 318 to smoke the field in the Northridge Sectional. Caleb Lung, the NLC champion, was again the top golfer in the Northridge tournament with his round of 72, conquering a very soggy and difficult course. Where the Panthers will have to scramble to keep pace will be getting lower scores from its remainder. Sean Hogan’s 77 was quality, but scores dipped to an 84 from Randy Kauffman, 85 from Jacob Falk and 86 from Micah Pippenger. Considering the scores from Penn and Dwenger, the two from Warsaw and CMA, DeKalb posted a 307, Homestead had a 309 in runner-up status to Dwenger, and Canterbury was at 313, NorthWood will have its work cut out for itself. Watch for Homestead’s Garrett Willis, who shot a fantastic 66 at Chestnut Hills, and Penn’s duo of Ben Szlarek and Zach Hale, both firing 73s at Erskine, as did St. Joe’s Michael Anthony. DeKalb also has a sparkling duo in Gabe Schenk and Bailey Clark, shooting 71 and 72, respectively, at Noble Hawk. Dwenger is led by Logan Ryan, who was one-under at Chestnut Hills. A couple individuals of note will also take part in the regional. Manchester’s Harley Kruschwitz won the whole thing at Warsaw last week with his 73, and NLC runner-up Chapman Yoder of Plymouth had a 77. Yoder lost a one-hole playoff to Lung at the NLC Championships for medalist honors. Also coming from the Warsaw Sectional is Triton’s Beau Hepler, who was the best of a disappointed Triton team with a 76. The Trojans finished fourth on its home Rozella course, 11 strokes back of Columbia City. Area teams also taking part in the regional include Columbia City, Concord and Fairfield. 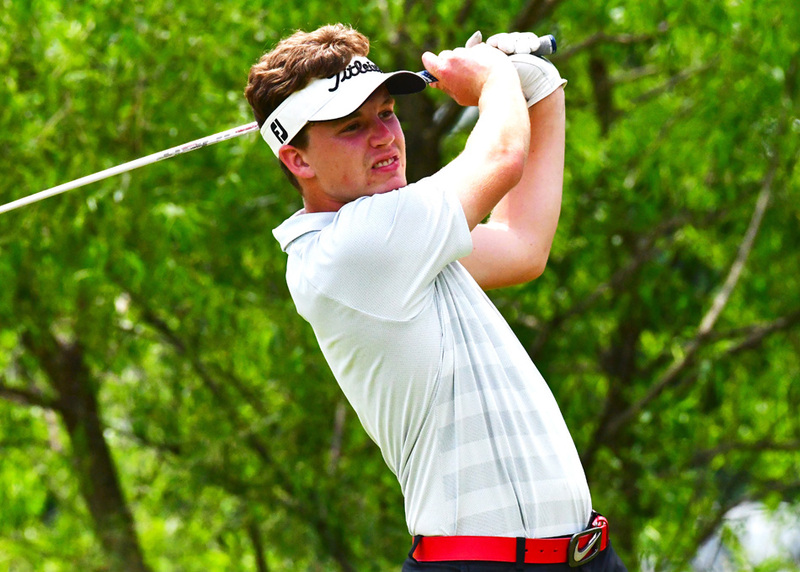 Action at Stonehenge begins at 8 a.m. Thursday, with the top three teams and the top three individuals not on a qualifying team advancing to the IHSAA Boys Golf State Finals June 12-13 at Prairie View Golf Club in Carmel.